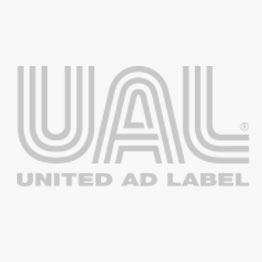 UAL Healthcare Office Labels and Supplies help you stay organized and running smoothly in a busy healthcare environment. We offer many types of printer labels...thermal, laser, pin-feed, for your communications and barcoding needs. Our blank and message flags expedite communications, and dispensers help keep work areas tidy. Trust United Ad Label for all your healthcare office labeling solution needs. 3M Arrow, 1" x 1-3/4"